Our product range includes a wide range of air ventilators, self driven ventilator, air ventilator, roof ventilator and turbo ventilator. We are instrumental in offering the customers with optimum grade Air Ventilators in varied specifications at most competitive prices. The offered products are fabricated from stainless steel and aluminum under the supervision of quality analyzers. Owing to their zero power consumption and minimal maintenance cost, these air ventilators are highly acknowledged in the market. Clients can avail this range with optional powder coating or anodizing also. These air ventilators utilize wind energy to induce air flow by centrifugal action. Centrifugal force created rotating vanes in turn creates low pressure zone which draws fresh air from outside. Thus replacing polluted air/hot air continuously. Minimum wind pressure will spin ventilator and even after wind has stopped, the fly wheel effect of ventilator will use its stored energy to rotate and to maintain fresh air flow. We make use of cutting edge technology in the fabrication of Self Driven Ventilators With the assistance of our professionals, we are able to offer a quality range of ventilators manufacture using high grade raw material. 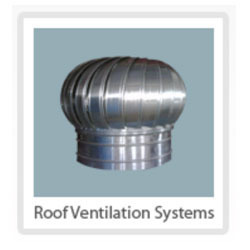 These are attached to the roof tops and offer perfect exhaust by wind driven ventilator which make the environment free from pollutants and gases. 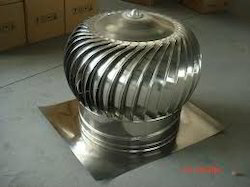 We are also engaged in offering a wide range of Air Ventilator These products are highly appreciated for quality, corrosion resistance and durability. Our range is tested using various tools and under different circumstances to ensure only qualitative range is delivered to customers. Our complete range can be availed by our customers at market leading price. 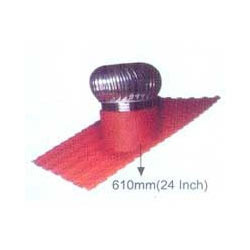 We are manufacture of Roof Ventilators. 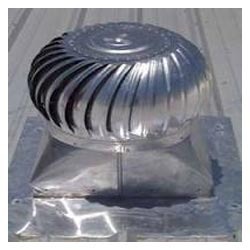 This Roof Top Turbines Ventilator is facilitated with vertical discharge and is used for removing heat, contaminants or combating problems caused by the lack of replacement air.